Earlier this week, reports started trickling through the web about a camera developed by the Camera Culture Group at the Massachusetts Institute of Technology. Sure, a camera coming out of a MIT lab sounds interesting, but how can it be as exciting as previous technological advancements? In this case, reading the pages of a book through its cover is this camera’s party trick. MIT have reportedly started to test a terahertz camera that can, at the moment, recognise the first twenty pages of a closed book, and identify printed letters on the first nine of these pages. According to Barmak Heshmat, this technology can potentially “look into some antique books that [the New York Metropolitan Museum] don’t even want to touch” (MIT News 2016), not to mention allow such findings to be inevitably digitised and later accessed via your favourite search engine or library. There is undoubtedly a lot of complex science behind this emerging technology, including combining the terahertz camera with femtophotography. TechCrunch succinctly described this as “a clever way of capturing certain types of imagery just trillionths of a second apart [that] lets extremely fine distinctions be made, such as whether a reflected image comes from one page or the next one a fraction of a millimeter down” (Coldewey). Essentially, the terahertz camera subjects the book to radiation, then femtophotography converts the radiation imagery into a much clearer picture. In a world of PDF documents, stumbling across a piece of centuries-old literature may present a problem to a scholar with the right touch for a keyboard and mouse, but not the right touch for handling a crumbling artefact with any confidence. Gizmodo writer Andrew Liszewski notes that “the [MIT] researchers feel their system could be a fantastic tool for museums or other facilities who want to explore and catalog historical documents, without actually having to touch or open them, and risk damage” (Gizmodo 2016). The potential for this technology to explore extremely fragile ancient media documents should be seen as only the start. Though the technology is ‘only’ able to detect the first twenty pages of a book at the moment, it could be used to detect the layers of a piece of art. More specifically, a very expensive piece of art being sold at an auction, or being analysed by an art fraud department. In this instance, uncovering ancient media through the use of contemporary technology should be seen as a way of enriching our culture and broadening scholarly horizons. Moving on to the debate surrounding ‘media activism’, the phrase may cause long Facebook comments and Twitter rants to spring to mind. However, terahertz femtophotography could unveil a more subtle type of activism: The discovery of ancient literature may not be a trending topic as popular as a riot, but the uncovering of such documents could provide social commentary that covers a timeframe far longer than any current political activity. This is not to say that the contemporary brand of media and political activism through social media is any more or less worthy of the term ‘activism’, but it is my view that technology that discloses social commentary from any age can only be adding to ‘activism’ within a cultural context. Technology that can potentially read an unopened book, or detect fraudulent artwork should be seen as an overly positive thing for historians and art collectors. However, drawing a parallel with the “natural environment” (Postman 11), literature and artwork clouded by thousands of years of guesswork may be seen as a part of nature itself — something that shouldn’t be altered. It is a very far-fetched idea that anyone would not want to read what has previously been unreadable, or find out that the ‘Mona Lisa’ on display in The Louvre is indeed a fake, but it is still an idea nonetheless. Finally, regarding the question of disclosure above, recent debates over privacy regulations on social media have also brought up this topic, and also the need for editors at influential technological companies. The notion of the researchers using terahertz femtophotography automatically becoming editors of this ancient media does in a sense agree with the above article’s argument that industry-specific professionals need to be a part of the editorial process. However, with certain books as much a part of the ancient world as some landscape features, every individual on the planet should have the right to see these newsworthy pages. Coldewey, Devin. “Judge a Book through Its Cover with This Terahertz Camera Setup”. TechCrunch. 2016. 12 September 2016. <http://social.techcrunch.com/2016/09/09/judge-a-book-through-its-cover-with-this-terahertz-camera-setup>. Hardest, Larry. “Judging a Book through Its Cover”. MIT News. 2016. 15 September 2016. <http://news.mit.edu/2016/computational-imaging-method-reads-closed-books-0909>. Humphries, Courtney. ‘A Detailed Road Map of the Human Brain’. MIT Technology Review. 2014. 15 September 2016. <https://www.technologyreview.com/s/526501/brain-mapping/>. Levin, Sam. ‘“Facebook Needs an Editor”: Media Experts Urge Change after Photo Dispute’. The Guardian. 2016. 11 September 2016. <https://www.theguardian.com/technology/2016/sep/10/facebook-news-media-editor-vietnam-photo-censorship>. Liszewski, Andrew. “MIT Invented a Camera That Can Read Closed Books”. Gizmodo. 2016. 15 September 2016. <http://gizmodo.com/mit-invented-a-camera-that-can-read-closed-books-1786522492>. Postman, Neil. “The Humanism of Media Ecology”. Proceedings of the Media Ecology Association 1 (2000): 10–16. 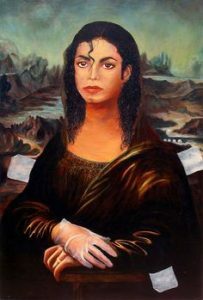 Shamona Lisa. 2016. 14 September 2016. <https://nl.pinterest.com/pin/73042825178948203/>. MIT. Terahertz Femtophotogrphy. 2016. 13 September 2016 <https://tctechcrunch2011.files.wordpress.com/2016/09/terahertzbook.gif>. 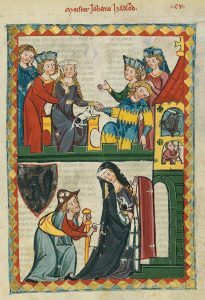 Codex Manesse. 1340. 16 September 2016. <https://en.wikipedia.org/wiki/Codex_Manesse#/media/File:Codex_Manesse_Johannes_Hadlaub.jpg>. « Artificial Intelligence: an objective method for measuring beauty?